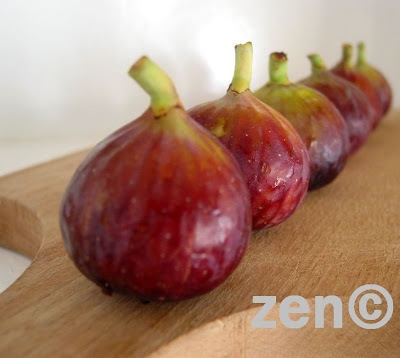 It's the time of the season, when black figs start appearing at the market stands. Just the image of them makes my mouth watering. I know the honeylike taste of them. Unfortunately, I don't know how to stop, when I start eating them. One, three, five, seven. Oh no, I should stop now. May be one more. Or two?